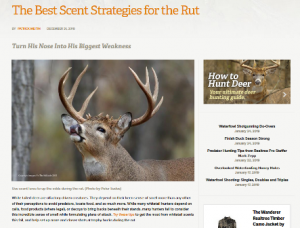 This entry was posted in Hunting, PotlatchDeltic and tagged Hunting, Scent, Scrapes, Winter Hunting. Bookmark the permalink. ← Exclusive Campsite Leases – Bidding opens 2/4/19!